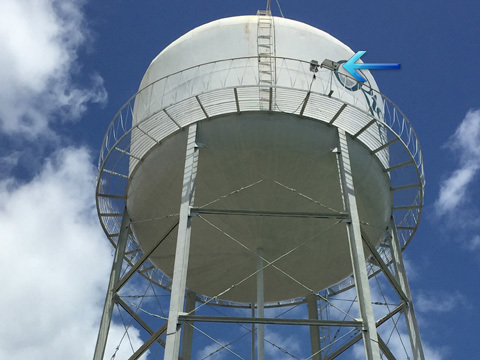 The Micrologic Tank Sensor measures the level of water in a tank and transmits the measurement through wireless GSM/SMS communications. It is powered by solar energy and is designed to be mounted on top of water tanks in outdoor environments. Since it has its own power source and uses wireless communications it shall not require any wiring. 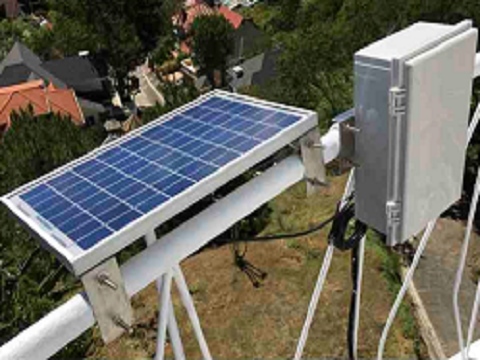 It is designed to operate autonomously with no need for physical contacts since the locations of the installations are expected to be difficult to access. 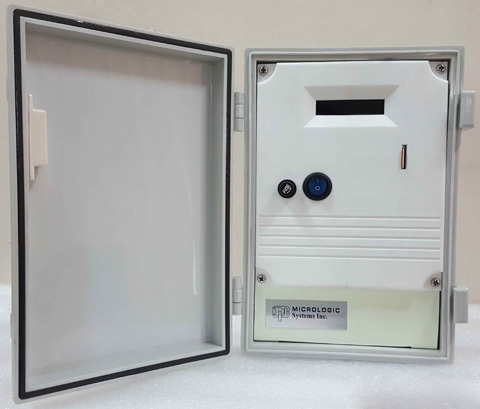 In addition to measuring the water level, it can be configured remotely so it can send alerts automatically when certain level points are reached or when the enclosure door is opened. Level readings can also be requested from the user's mobile device or PC/Laptop. The Tank Sensor has a built-in battery that is charged by the solar panel during the day and provide power during night time or when sunlight is not enough. It is housed in a weatherproof enclosure and can be mounted on a pole, wall, floor or hand railing. For measuring the water level it uses ultrasonic technology thereby eliminating the need for any contact with the liquid thus enhancing long-term reliability. A record consisting of the above is saved in a non-volatile memory every time a transmission occurs. It has a storage capacity of 500 records which will be written over when capacity is exceeded. There shall be a facility to download all the records using GPRS. The trigger point for the water tank level and other operating parameters can be set remotely thru the SMS facility.